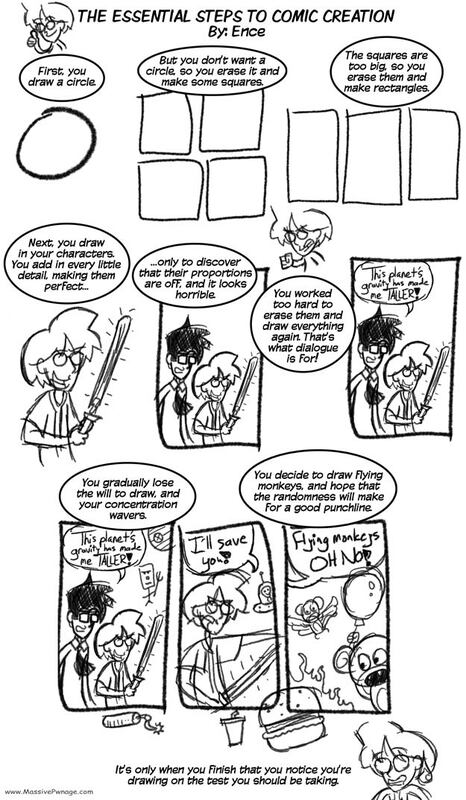 Essential guidelines to any would-be cartoonist. While the drawings are (purposefully) quick doodles, it still took time to make everything look “nice.” I wanted Ence to be a superhero at first, but I didn’t like the way I drew it, so he turned into a Jedi. This entry was posted on Friday, March 27th, 2009 at 12:00 am and is filed under Comics. You can follow any responses to this entry through the RSS 2.0 feed. Both comments and pings are currently closed. Haha, I’ve been reading every single one so far and this one is my favorite…so far.